Best Alternative to Negotiated Agreement BATNA definition holds it as the course of action that will be taken by a party engaged in negotiations if the talks fail and no agreement can be reached. The term was first coined by Roger Fisher and William Ury in “Getting to Yes: Negotiating Without Giving In," published in 1981. The theory was first introduced by the Nobel Laureate John Forbes Nash decades earlier in his early undergraduate research. Negotiation BATNA is different from negotiation point or walk-away point. The negotiation point is the level at which a negotiation party finds it better to stop the negotiation and walk away rather than offer further concessions or make new proposals. BATNA on the other hand is the alternative solution if negotiation fails for any reason. The negotiation point depends on many factors including BATNA, relationship value, time value of money and other considerations. The success of using BATNA depends on the effective development of BATNA. Many managers overestimate their BATNA and invest too little time to research their real options, leading to poor or faulty decision making and negotiating outcomes. Cost of the alternative relative to the proposal under negotiation, including the costs of adopting the alternative instead of the proposal under negotiation. Cost estimation entails both short term and long-term costs. Feasibility, which includes availability, reliability of supply, logistical factors and other similar considerations. Whether the alternative considered will have an overall positive or negative impact on the current situation. Such considerations can include reaction of stakeholders, effect on workforce, impact on relationships, and the like. Consequences of adopting the alternative under consideration instead of the proposal under negotiation. A good negotiator conducts the same exercise from the counterpart perspective to identify the negotiation BATNA of the opposing side. 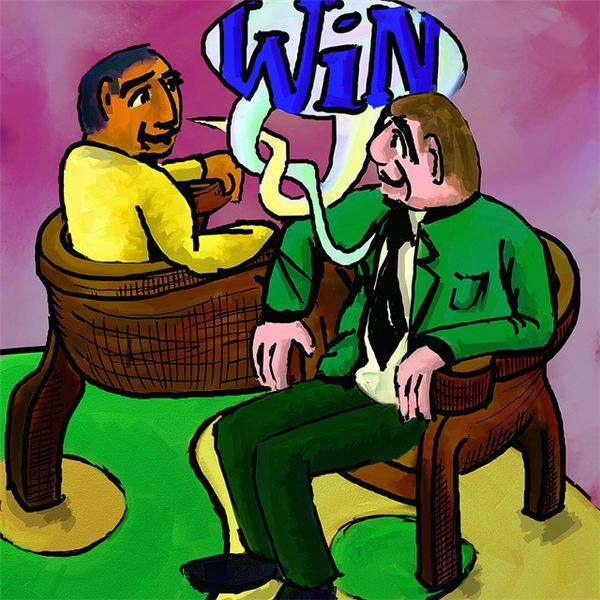 Understanding the strength of one’s own negotiation BATNA relative to the opposing side’s BATNA helps in getting the whole picture and allows effective negotiation for a win-win situation. Ways to improve a weak BATNA include brainstorming ways to increase bargaining power, and applying creativity to determine new ways and taking the help of experts or specialists to provide new insights. BATNA is best explained with illustrations. For instance, when a buyer negotiates price with a supplier, the buyer’s negotiation point depends on the alternatives available. When the product required by the buyer is not available elsewhere, or is available at a much higher price, then the buyer has weak alternatives, and tends to agree on the sellers price. On the other hand, if the buyer has already confirmed one or more alternative supplier of equal value, the buyer has an advantage in the negotiation and can afford to fix a more advantageous walk away point. Among the simple and straightforward examples of BATNA is one dealer offering $2000 for a used car. The BATNA in this case becomes $2000 when dealing with another potential purchaser. Distorters include an offer of $1900 by a close relative, which force a trade-off between the $100 additional profit and the goodwill or an offer of $2100 in 45 days. This forces considerations such as the reliability of the offer, cost benefit analysis of the earlier payment or the time value of the delay, whether the offer of $2000 would remain after 45 days, and the like. BATNA is a requirement to succeed in any negotiation. Negotiating without an alternative solution if the negotiation breaks down almost certainly leads to the other party dictating terms, or over-optimism, again leading to negotiations breaking down leaving the party with no options. Having a strong BATNA also provides leverage to the negotiation. A strong alternative to a poor proposal helps negotiating with confidence and keeping a high and firm walk away point.